This could be our favorite (and easiest) project to date. More importantly, these cha-cha ready dip-dyed tassel earrings are about to be on everyone’s radar. They are undeniably hippie-chic. And the perfect project for any beginner. 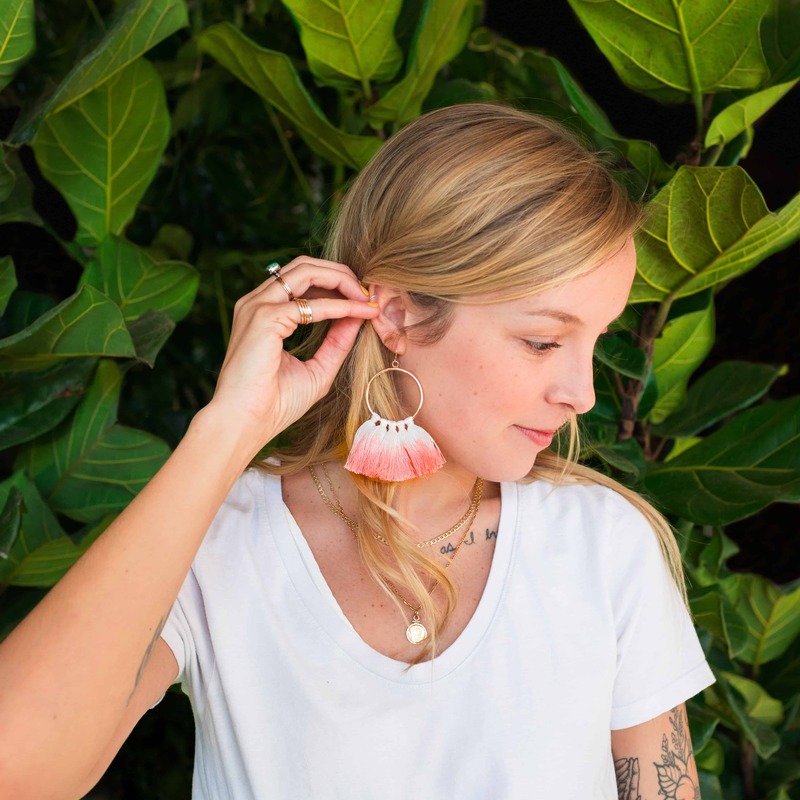 You can buy white solid inexpensive tassel earrings just about everywhere (or even make your own). Then, dip dye them with one of our dyes or color formulas to find the perfect color to accessorize your outfit with. Enjoy! Wearing rubber gloves, mix 1 tablespoon of well-shaken Rit All-Purpose Liquid Dye with one 1/2 cup of the hottest water from your tap in a mason jar. Stir well. Test the color by dipping a paper towel directly into the dyebath. If the color is too light, add more dye; if it is too dark, add more water. Dip earrings directly into the dyebath for 30 seconds. Rinse in cool water until rinse water begins to run clear. Lay earrings out flat on clean dry paper towels until completely dry.